In the featurette for Endless Poetry there’s a plea by writer/director Alejandro Jodorowksy where he claims that he wants to undo modern filmmaking and instead make something that’s an artistic expression by its creator, a film that will stay with the viewer after they watch it, that has the power to change lives. This is the bar Jodorowsky has set for himself and it should be enough for us to give him a chance. Having been disillusioned with filmmaking for so long, Jodorowksy has lately been making a comeback of sorts. He had not made a movie since 1990’s the Rainbow Thief, then returned with the one-two punch of Dance of Reality and now his latest Endless Poetry. And what a way to make a comeback. The man is nearly 90, and his hatred of the Hollywood style of filmmaking caused him to crowd-fund this latest project. You gotta respect that. Endless Poetry is a continuation of Dance of Reality, and highly autobiographical. It’s been said that this is his most accessible movie, but I’m not sure I completely agree. While Endless Poetry is definitely an easier pill to swallow (or even just contemplate), I could argue that it’s much easier to appreciate the beginning of a story and the birth of their characters. Not that Endless Poetry doesn’t tell its own story. The first 20 minutes or so see us revisiting the Jodorowsky family and their move from Tocopilla to Santiago to try and make a new life for themselves. Endless Poetry has a dreamlike feel that works best through the eyes of its child-like protagonist. That said, the rest of the movie is quite impressive in itself as we see the character (?) of young Alejandro coping with what he wants to be (a poet) and what he used to be. Symbolism is as prevalent as ever in Jodorowksy movies: the young Alejandro (played by Jodorowsky son), yearning for love, finally finds acceptance in an art group, starts a relationship with a fellow artist (played by the actress who plays his mother), and has to learn to break out of his comfort zone to truly pursue his dreams. It’s truly a personal and beautiful story, which should be rewatched and analyzed, discussed with friends, and thought about over and over again. We live in squalid times for movies: being rehashed, remade, and watered down to give the audience what they want. In this environment, it’s important to appreciate movies like Endless Poetry, which are unique, deep, challenging, and full of feeling. 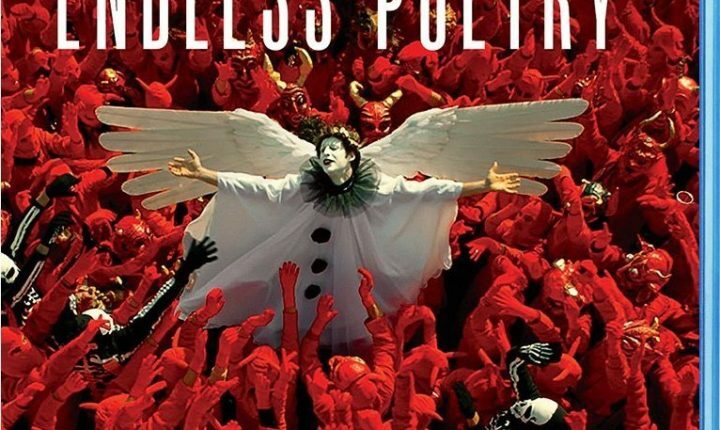 At almost 90, Jodorowsky might be in the twilight of his career, but we’re still hoping Endless Poetry is just the second of many more stories to come.